It seems like a gimmick to part you with your hard earned cash without actually solving your problem. Can laser devices for hair loss actually work? A laser helmet for hair growth looks like it is straight out of a sci fi movie. There is some actual science and not science fantasy to it. I’ll get into the details about how these things work a little later. For now I will say that if you are one of the types of people for whom this will work, (they don’t work for everybody) then you will see some results if you stick with it. 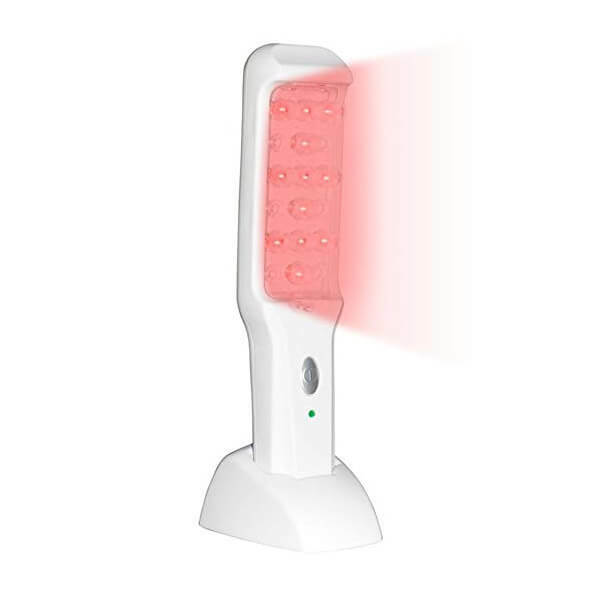 Also called Low Level Light Therapy Laser (LLLTL for short), these devices can stimulate your hair into growing or, at a very minimum, slow down the hair loss. So, which one of these devices is best? Take a look at this handy comparison table of the best laser comb and cap to see how they stack up against each other. For the full reviews then just keep scrolling down. Do laser devices for hair loss actually work? Ok, laser hair loss devices like the best laser comb and cap CAN work, but they don’t work for everybody and not in every situation. For example, if you have bald spots with shiny skin where there hasn’t been a wisp of hair in years, then it is not going to work for you. Those roots are dead and nothing is going to bring them back save a hair transplant. If you are only just now starting to see that you are getting thin in certain areas, then a laser device could actually work to stimulate the hair to grow. If you see wispy or kind of gnarly looking little hairs that don’t seem to grow anymore, then they could be saved. The laser can get into the follicles and turn on the growth cycle. To know who it will work for is difficult to know exactly as it requires understanding how much of your hair is in which growth cycle. There are three different life cycles of your hair. This stage is the period when the hair follicles are getting ready to rest after a few years of growing. Though this time the period only lasts for a few weeks. At this stage, the hairs that have finished their growth cycle will shed and begin falling out. In theory, they will be replaced by new hairs in the root. The problem for some guys is that the roots are shut off and need to be turned back on. That is when the lasers come into play. The LLLTL therapy devices will stimulate the hair in the Anagen phase and keep them in a growth phase for longer. Usually about 10% of your is in the Telogen stage, but guys with balding hair will likely have a much higher number. The point of the laser, then is to prevent an even higher number of hairs in the Anagen phase. And, this is where it ends up in the realm of actual science and not some snake oil scam. It won’t perform miracles, but it can keep your hair from falling out. The TL:DR version then is that it does work, just not for everybody and won’t give you a full head of hair again. As is the case with most hair loss therapy, it just prolongs the inevitable. WARNING: You won’t suffer any side effects when using any of these best laser comb and cap products as directed, but, you should really make sure that you don’t use them while you have gel or any other styling products in your hair. Here is a GIF with the blue area showing the type of hair loss that LLLTL treatment can help with. This FDA approved (meaning it can’t hurt you, not that the FDA says it can cure baldness) LLLTL treatment helmet features 51 medical grade lasers. 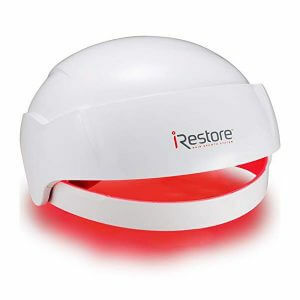 The size and shape of the dome ensures that the lasers cover the area where you want to be able to stop your hair loss. Using a helmet like this one is a great passive way to hold onto your hair. You can watch TV, eat dinner, read a magazine all while you are treating your androgenic alopecia, or male pattern baldness. Wearing it is pretty comfortable as it is very lightweight and conforms to your head. There are some pads inside to help it rest easy and to keep the lasers at the right distance from your scalp. The lasers and LED red lights are set to a 650nm wavelength that is ideal for stimulating the roots of the hair in the Anagen stage. You should these best laser comb and cap devices every other day for 25 minutes per session. There is a handheld controller with a timer to make sure you use it properly. It even has a pause button in case you need to interrupt the session. The lights will pulse on and off during that time without you feeling any heat or discomfort. If you are already using other DHT blocking products like the ones I reviewed here, then you should see some results after 16 weeks or so. Where you are likely to see the most regrowth is around your receding hairline and on top of your head. If you have a bald circle at the back of your crown then you may not find it works as well there. That is also the case with Minoxidil products as the hair there is the most stubborn to regrow. iRestore did clinical studies that showed that their patients did see up to 40% regrowth. 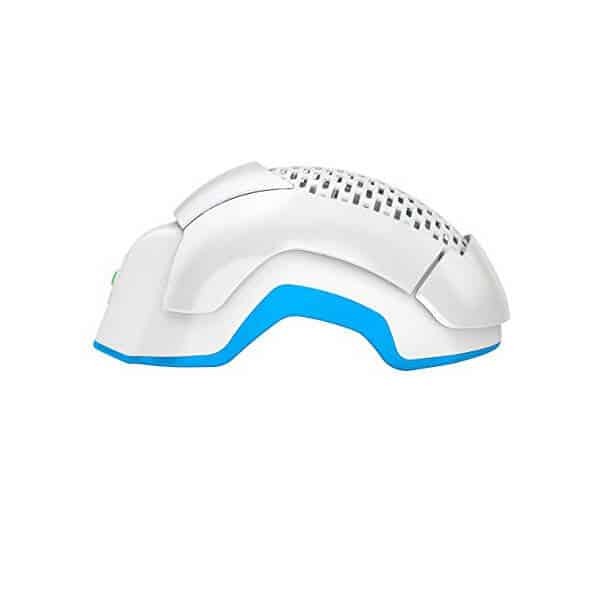 At a minimum, you should see your hair loss slowed down or stopped altogether while you use this dome. This, of course, depends on how long you have been losing your hair. 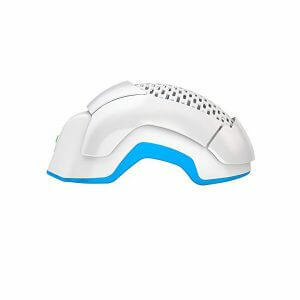 If you have been bald for years, then there probably is not much hope that this or any other device will work for you. If you are willing to put the time in and be patient using these best laser comb and cap devices, then you should see some results. Anybody who is looking for an at home procedure that doesn’t involve anything invasive or any kind of prescriptions drugs will love this device. There are absolutely no side effects when using one of these best laser comb and cap devices. Luckily there is a 6 month money back guarantee. They feel confident enough that they are giving plenty of time to see if it will work for you or not. It seems like there is not much downside to giving it a whirl. Don’t feel like wearing a helmet that looks like something out of a science fiction movie? Then wear this baseball cap laser treatment helmet instead! This model sports 82 diodes set to 670 nanometers instead of the 51 found on the iRestore and all of them are lasers. None of them are LED lights. Whether that makes a huge difference or not is unclear, but it seems like this should deliver a more intensive therapy. The lasers should be able to penetrate deeper into the scalp and increase the blood supply to the root. This penetration should block the testosterone from breaking down into DHT and stop the loss of hair. Growing it back hopefully happens when the root is getting better circulation and is able to absorb more nutrients. If you are trying to regrow hair and not just stop or slow the hair loss, then it is really important to use some topical DHT blockers in conjunction. Look for ones that nourish the scalp in addition to blocking the DHT. Those nutrients will get a boost from the laser therapy. The hair in the growth stage will stay in that phase longer to keep your hair from going into the rest phase that it likely won’t ever come out of. Since the cap is flexible, it can cover your head better and direct the lasers for better coverage of your affected area. What makes this really nice is that it is battery operated. Instead of sitting around with a laser helmet, you can go about your errands while wearing it. Mow the lawn, cook dinner, vacuum the house, whatever you need to do. The treatments take only six minutes, every other day. As with any other best laser comb and cap therapy for hair loss, there are no side effects and you won’t feel any heat or discomfort while you use it. There is no timer with this one, just an on and off button so you will need to keep track of the time you wear it yourself. Results should start to be visible in three to six months. 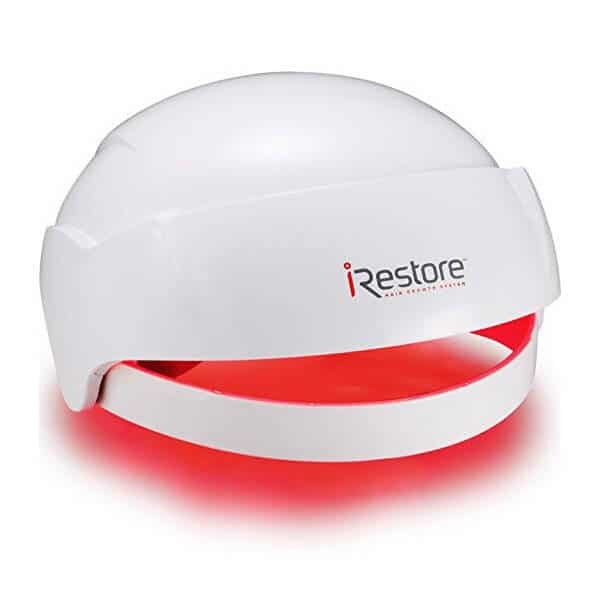 This laser hair loss treatment cap is like a cross between the iRestore and the Capillus82. It has 80 diodes over the 51 of the iRestore. It is cordless like the Capillus82. Thanks to the foam pads, it fits quite comfortably. You can’t put it on your head the wrong way as there are sensors that will alert you if the fit is off. It takes twenty minutes per session twice per week. 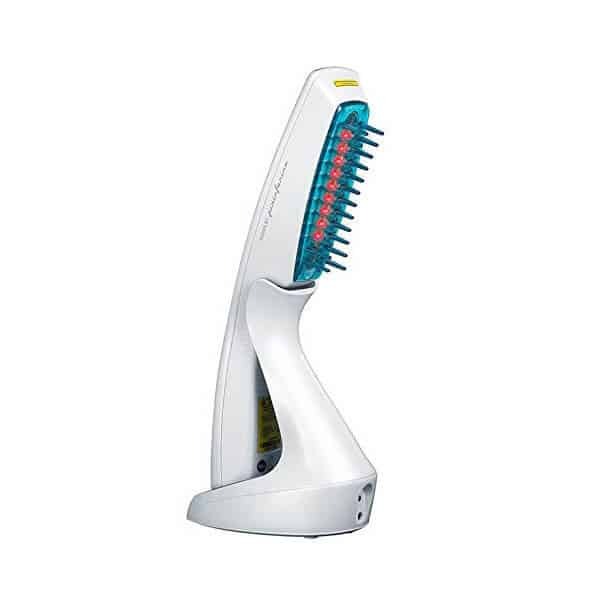 Since it is cordless and rechargeable, you can go about your daily routine while you do your hair loss therapy. It has an automatic timer that shuts off after the time of the session is up. It can even keep track of how many sessions you have already done. This is very helpful to gauge your results to see how quickly it is working to slow your hair loss or improve the growth of your hair. Just as is the case with the other best laser comb and cap device treatments I am reviewing here, results definitely will vary. But, if you are one of the lucky few, or you start this therapy before your follicles die off, then you most certainly will see some modest results in a few months time. With recommendations from the likes of the Bosley’s hair centers, it definitely has some added credibility. In fact, it is recommended to use post hair transplant since it will keep the scalp disinfected and may strengthen the new follicles to grow in more thickly. With a strength of 678 nm it can penetrate deep into the scalp, reaching the most stubborn hair follicle roots. This kind of strength should be able to penetrate deeper into the scalp and reach even the deepest roots. Give it at least six months to see if there is any improvement before drawing any conclusions about how effective it is. A caveat that is worth mentioning is that there is no satisfaction guarantee like the other best laser comb and cap models. What they do offer is a 1 year limited warranty, but that is to cover manufacturing defects. I am not sure if you could return it for money back if you find it didn’t give you the results you were looking for. Also, remember, that it won’t work for everybody. Make sure your hair follicles are not already dead as no treatment will bring them back. To better direct the laser therapy to your problem area, it makes sense to use a brush or comb instead. These devices don’t have as many lasers as the helmets or caps, but many of those lasers may be directed to an area of the head that doesn’t need any therapy. In effect, it isn’t always the number of lasers that makes it effective or not. In this case the NutraStim has 12 lasers in the form of a brush. It is very easy to use as the teeth of the comb keep the laser at the appropriate length from the scalp. They also help to part the hair so the scalp is more exposed to the lasers. You need to keep the lasers directed at the same spot for 4 seconds. At which point the comb will alert you that it is time to move to the next spot. Work your way from the front of the head to the back and use it for 8 minutes every other day. You should start seeing healthier and stronger strands of hair within a couple of months. Within 6 months you should know whether or not it will work for you. If you see some moderate results within that time, then continue using it and you may end up seeing some really nice results with thicker, fuller hair and your wispy, thin strands start to grow more normally. Not to sound like a broken record, but if you use other DHT blocker products like shampoo or serum then the chances of seeing better results increases. This is clinically proven to actually work, but the manufacturer makes it very clear that it won’t work for everybody and your expectations should definitely be realistic. There is a 6 month guarantee if you don’t see any results. No questions asked. 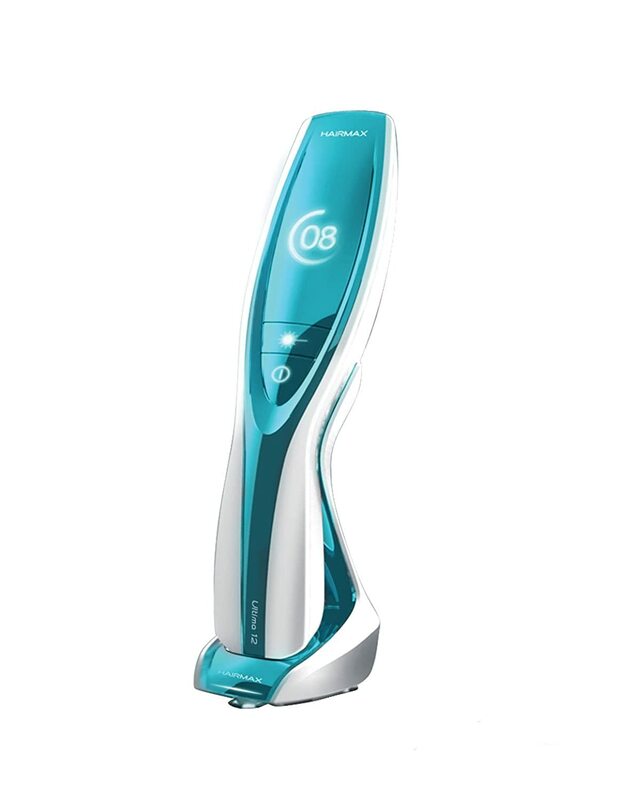 One of the most popular laser combs is the HairMax Ultima 12. They have had several incarnations over the years with this one taking the latest in LLLTL technology. There are no LED lights in this device. Only lasers that work with visible light that stimulates the scalp. Through the use of Photo-Biostimulation, the lasers increase production of Keratin which strengthens the hair. If you have thin, wispy hair growing in your thin spots, then this should help those come in thicker and stronger. With this process, you will see more of your scalp covered since the thin hairs will actually be thicker. Your older hair will be rejuvenated and stay in the growth stage for much longer than they normally would, which slows down the hair loss. They have been proven effective in clinical studies so it does actually work. There is really no way to know. As is the case with any other device, it can take 6 months to see any kind of positive results and more to see results you should be happy with. There are only nine lasers in this brush compared to the NutraSim. It works in the same way, however, in that you work from the front of the head to the back and keep it in place for four seconds. It will alert you to when you need to move. Use it every other day for 10 to 15 minutes per session. Get the best of both worlds between the best laser comb and cap with this hair band from HairMax. Like the combs, it will help to part the hair so more of your scalp is exposed. 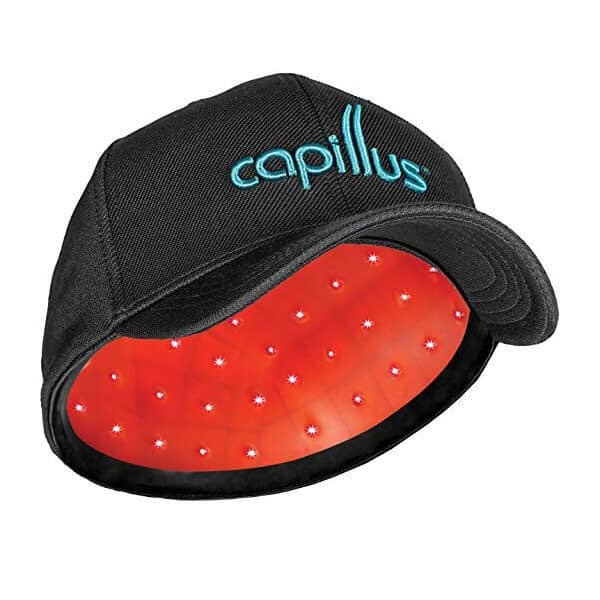 Like the cap, it is packed with 82 lasers, not LEDs, that cover more of your head than either of the other devices. Since it is a band, the 82 lasers are more concentrated to the area where you focus it. It can cover three areas of your head per session and only takes 90 seconds per session. Obviously, this is way faster than any device out there. Just use it three times per week and it comes to only a few minutes of your time per month. 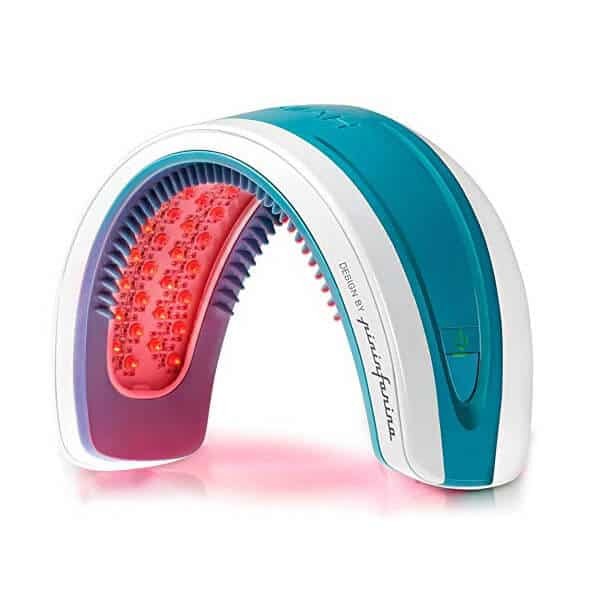 It works the same way as the HairMax Ultima 12 comb, where it uses Photo-Biostimulation to help regrow, stop the hair from thinning and to strengthen your already existing hair. As usual, give this therapy time to work. At least six months. If you are one of the people with the right type of hair loss where this is effective, then it will start to show results in that time. If you haven’t seen any results at all in six months then it probably isn’t going to work. According to the HairMax website, the clinical studies have been published in several peer review medical journals. Are Laser Combs or Systems Worth It? These devices can cost a lot of money, no doubt about that. So, it is a very reasonable question to ask before you spend that kind of money on a system that for all intents and purposes seems like snake oil. The fact remains that there have been studies done and have verified that these can work. Will it work for you? Refer to the image from HairMax.com that I posted earlier to see where your hair loss pattern falls to get a better sense of if you really should do it or not. The fact that many of these companies are confident enough in their product that they offer a money back guarantee is reason enough to take the plunge. Worst case scenario is that you are out the cost of shipping. When I started losing my hair 15 years ago, I tried Rogaine and it didn’t work for me. I don’t regret spending the money, which back then was a lot more than it is now, because I was able to verify that there was nothing I could do to stop my hair loss. This enabled me to move on and start shaving my head. If you have tried other systems that haven’t worked, then this could be the one that finally does the trick. You won’t know if you don’t take the plunge. If you have a hair loss clinic nearby, see if they offer free consultations to have your hair evaluated and see what they think your options are. What is Better: Laser Comb or Helmet? Where are you losing your hair the most? If you have money to burn then go ahead and get the helmet. It might be overkill if your hair loss is only slight, but it should help keep the hair that you have. I wouldn’t get one if you haven’t experienced any hair loss yet and are only trying to have some insurance against it. But, if you are starting to thin, then you don’t know how far back your hairline will retreat. Maybe it is not a bad idea to treat the whole head anyway. If you don’t have the budget or you only want to work on a small section of your scalp, then a laser comb will be just as effective as a helmet or cap. They cost much less and still direct lasers where it is needed. They generally takes less time to use, also. Except in the case of the HairMax Band.